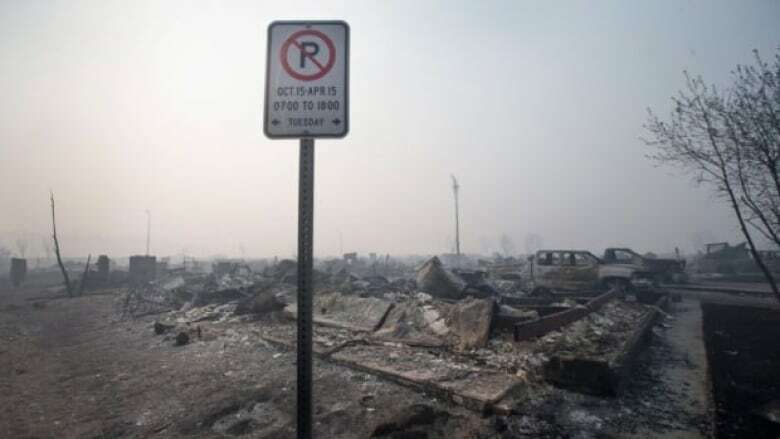 Residents in Fort McMurray, Alta., were given "mixed messages" about the threat and proximity of the wildfire barrelling towards their community last year, which resulted in one of Canada's largest evacuations ever, a municipal review concludes. Residents in Fort McMurray, Alta., received "mixed messages" about the threat and proximity of the wildfire barrelling towards their community last year, which resulted in one of Canada's largest evacuations ever, a municipal review concludes. The Regional Municipality of Wood Buffalo report, released Thursday, examined the local response to the 2016 wildfire, officially known as the Horse River wildfire. "Had we arrived at a common understanding of the situation earlier," fire chief Jody Butz said at a news conference Thursday in Fort McMurray. "The timing of the May 3 mass evacuation may have been different." 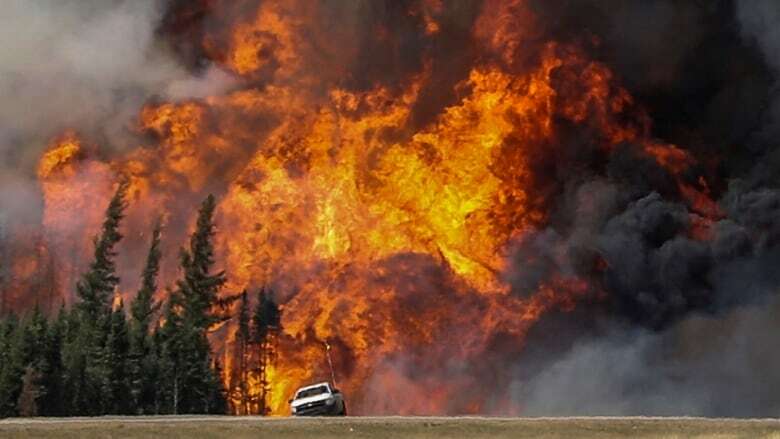 Two earlier Alberta government reviews were scathing in their criticism of the response to the fire by various government departments, wildfire crews and municipal firefighters. Those reviews found first responders and managers were challenged by delays in receiving heavy equipment, problems with radio gear and crews which only learned on social media that the fire had breached the city. The latest review also lists communication breakdowns and, at crucial times, an absence of leadership during the initial response to the fire. "It means coming to accept the way we did things before the fire can and should be improved," Mayor Melissa Blake said. "Now we are going to have a very strong unified command that's going to help us get the right information at the right times and the right messages to our citizens." The municipal report, authored by auditing firm KPMG, doesn't conclude whether the evacuation order should have come earlier on May 3, 2016, but it said authorities communicated "mixed messages," which might have created a false sense of ease. Over 80,000 people choked Highway 63 for hours, which became a corridor of flames, embers and ash. The chaotic evacuation was widely criticized as a failure of the province and emergency crews. The report said a news conference on the morning of May 3 failed to communicate the seriousness of the situation. "There were mixed messages regarding the significance of the developing emergency situation," the report said. "The briefing advised residents of the extreme fire conditions, and encouraged families to have a plan should they need to evacuate, while also advising residents to carry on with their day." Part of the problem was that municipal emergency workers were not aware of how close the fire was to Fort McMurray, the review said. The morning of the news conference, computer modelling from Alberta Forestry showed that Fort McMurray could be in the path of the wildfire. However, many municipal staff members interviewed for the report could not confirm whether this critical information was shared. The report also notes there were further breakdowns in communication between the municipality and the province, and within the municipality. Information from Alberta Forestry about the wildfire's progress was shared with the municipality over the phone instead of in a more widely-sharable format. Fire maps from the province weren't available to the municipality and any maps the municipality produced internally were incomplete and outdated. "A team-based approach to information exchange and knowledge creation, typically achieved through integrated response structures and unified command, may have improved collective understanding of the risk to the community and prompted earlier action on evacuation," the report said. Municipal emergency staff frequently used personal cellphones instead of duty phones or assigned radios, creating "an organic system of decentralized communications" and risking whether the right people were receiving the right information. The reports notes that municipal emergency services and Alberta Forestry weren't speaking the same language at times. Jargon used in describing the progression of the wildfire from May 1 to 3, "was not well understood by critical positions within the Regional Emergency Operations Centres." Technical language was "hindering their ability to appropriately assess the significant level of risk to the community," the review said. The report noted municipal councillors were kept in the dark and felt like they couldn't communicate critical information to residents. Indigenous and rural community leaders from Wood Buffalo's nine other communities said they were not informed about their roles. The report notes the Regional Emergency Operations Centre was up and running in a timely manner, one day before Fort McMurray was placed under a mandatory evacuation. 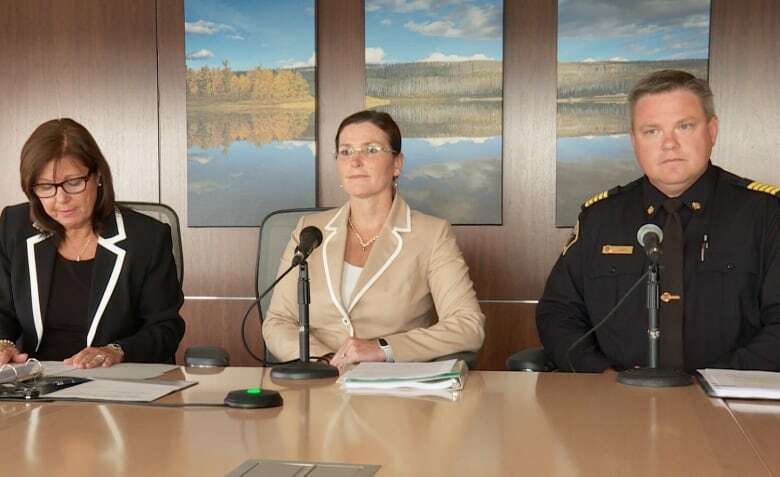 However, a unified command between municipal operations based in the Regional Emergency Operations Centre and the Alberta Forestry was not achieved. That resulted in more than one incident "with Alberta Agriculture and Forestry operating out of their own location and Regional Municipality of Wood Buffalo personnel operating out of the Regional Emergency Operations Centre." Staffing levels during the emergency were also highlighted as a concern. The reports said the municipality may have not strictly adhered to predetermined shifts within its incident command system, "resulting in some confusion over who was 'in charge' at any one point in time, and who had the ultimate authority to make critical decisions." Some critical employees that were supposed to remain behind to coordinate emergency response left the city during the mass evacuation. Also the role of a safety officer remained unfilled by the municipality until four days after the wildfire reached the city. This might have resulted in occupational health and safety violations. "Without a dedicated position accountable for responder health and safety on May 3 and 4 there were some issues reported with respect to access to personal protective equipment and adherence to occupational health and safety standards," the report said. Given the gravity of the Fort McMurray wildfire response, the report also questions whether the fire chief should lead the municipality's emergency response. It suggests it might be more effective to assign the role to another municipal staffer and that workload and responsibilities should be considered before reassigning the role. Butz said the fire chief will remain as the head of emergency management, but the chief will report to the municipality's chief administrative officer, who will be involved with decision-making during emergencies. Butz said the municipality has improved it's wildfire communications with the province and other partners, and is rewriting the municipal emergency management plans for its 10 communities. "This report has given us the perspective we needed to be able to take the hard look at the areas we need to improve upon," Butz said. "We are not going to shy away from these issues." Forestry Minister Oneil Carlier said the report is consistent with the reviews the NDP government commissioned. He said the report will help not only residents of Wood Buffalo, but people throughout the province prepare for disasters. The report, which cost $246,000, also confirmed what opposition leader Brian Jean says he has heard anecdotally from first responders and residents. "It's clear that while firefighters and emergency officials did what they could to fight the fire with the resources available to them, a general lack of preparation and clear communication made these efforts more difficult," Jean said in a written statement.